Divergent (2014) is the new young adult fiction adaptation with a strong female protagonist fighting an authoritarian government in a dystopian future. I haven't read the book, but the movie is closer to The Host or The Mortal Instruments than it is to The Hunger Games. The story is organized into two subplots: Tris's (Shailene Woodley) coming of age and struggle to find a place in society, and the romantic entanglement she finds herself in when she meets Four (Theo James). If there's one problem for me with the movie, its that this first subplot is weighed down by the clumsy and problematic nature of the second. One thing that ought to be made clear from the start is that this movie can barely be classified as science fiction. Science fiction uses futuristic concepts or technology to imagine an alternate reality in the understanding that sometimes it is easier to see the truth when you look at it from a skewed perspective. Blade Runner uses androids to talk about humanity. Invasion of the Body Snatchers uses aliens to talk about identity. Gattaca uses genetic engineering to talk about destiny. Good science fiction uses its story and setting to elucidate an issue which might otherwise remain obscure. Divergent, on the other hand, seems to use its dystopian backdrop in a shallow attempt to spice up what would otherwise be an incredibly average action/romance. In a grim vision of future Chicago there are five factions, between which every member of society must choose upon reaching a certain age. Each one embodies a certain characteristic, and thus each citizen theoretically fits into one or the other based on their personality. 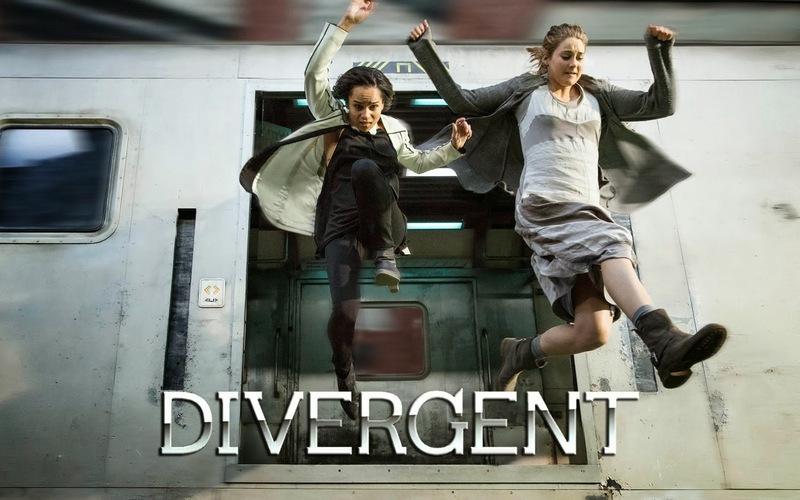 Tris however is Divergent, meaning that she doesn't fit neatly into one faction or another, and we are told by several different characters in the movie that "Divergents threaten The System." There is a seemingly infinite number of questions that arise from this odd dystopia (Why is there such a limited number of Divergents? Is there some sort of genetic engineering in the future to make people more one-dimensional that didn't work on Tris? ), but once the society is hurriedly established it ceases to become an issue and takes a backseat to Tris's self discovery and romance. While a movie like The Hunger Games also contains populist elements like a love triangle and people punching each other, it uses its universe to talk about relevant ideological issues like class conflict and celebrity worship. Because Divergent never investigates why "Divergents threaten The System" or how "The System" even benefits from factionalizing its population, a clear message never manages to emerge. The secondary appeal of a movie like this for me is the progressive empowerment of women in cinema, and here the movie basically succeeds even if only in a limited, fairly unoriginal way. 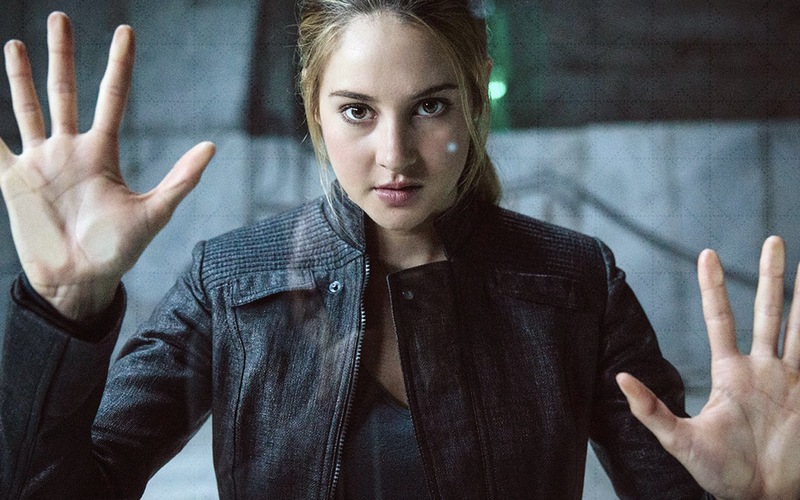 Tris is strong and courageous and stands by her convictions. Woodley's performance is also quite good, and while she doesn't stand out as much as Jennifer Lawrence's Katniss (or Saoirse Ronan's Hanna) it does show promise for the young actress. What frustrated me slightly about the trajectory of the narrative was that the immediacy and ease of the romantic subplot detracted from the apparent independence of the protagonist. There are just a few too many conflicts which Tris could solve by herself but which are instead resolved by the intervention of her manly savior. I was looking for the good in the story and for the most part Tris is her own woman, but I'm getting tired of female protagonists being unable to succeed without the necessity of their transgressive desires being domesticated by a traditional heteronormative romance. - There are a few hallucination sequences which stand out quite easily as the movie's best scenes. - If Dauntless prides itself on its bravery then why is Tris constantly punished for showing it? - In a society where aptitude (and choice, to some extent) determines occupation, why is there ever any disagreement about who governs? Candor's symbol is literally the scales that represent the balance of power, maybe we should let them have a turn.